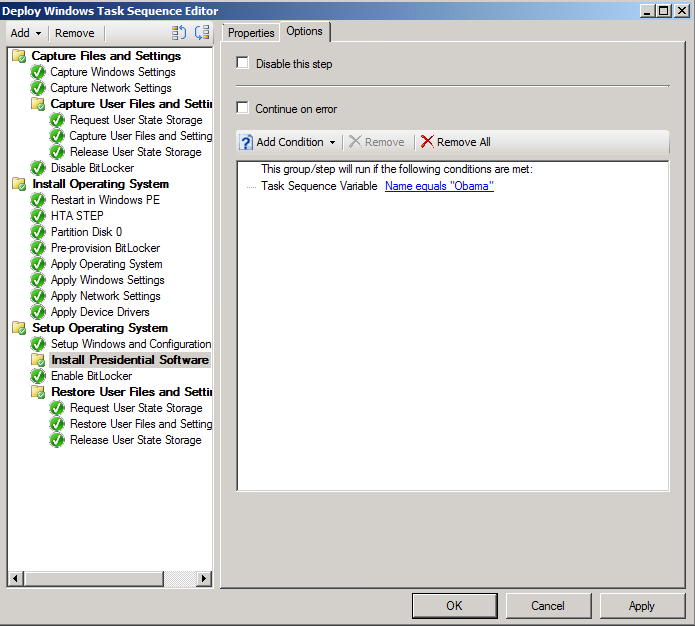 SCCM 2012: Simple HTA Boot Menu Solution to set Task Sequence Variables. If you for some reason are not able to use MDT and the UDI wizard, you may want to create a HTA Application to handle roles or special choises during deployment. I have created a simple HTA that reads a config file and generates a dropdown list and defines task sequence variables, feel free to use this as an example. 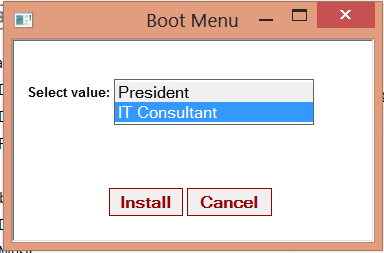 To run HTA applications in Windows PE you will need to add HTA support to your boot images. Please see my previous post on how to add winpe components in SP1. 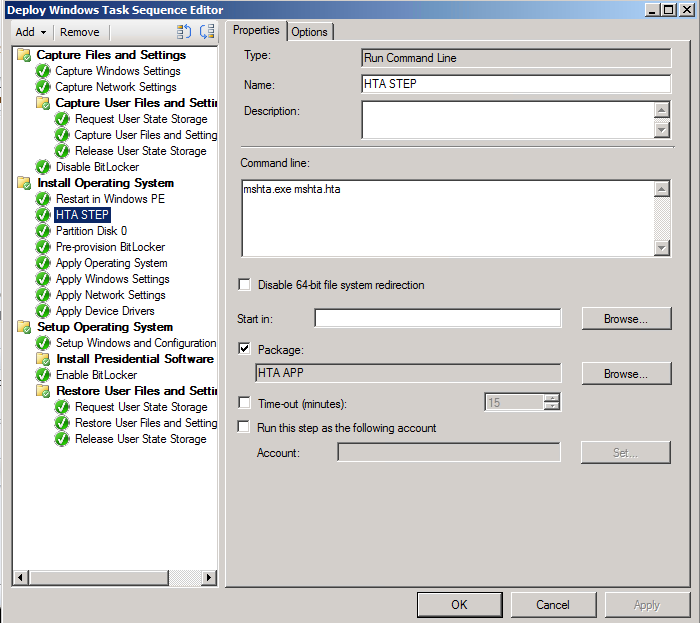 The HTA solution consits of two files. app: tshta.hta, this is the application if you want to download the source code you can get the solution here. 3. You need to add the HTA to your task sequence. Notice that I have created a package that contains the HTA Application, added a command line step and selected “start in package”. 4. Use the variables in a TS step. In this example I’ve just added a group, this can for example contain spesific applications. This entry was posted in System Center Configuration Manager by Håvard. Bookmark the permalink. I am getting the same error File not Found what is the Fix. Please post.